Various ways to hide in plain sight. or the missing scene where Watson patches up Holmes after the scene with the meat hook. 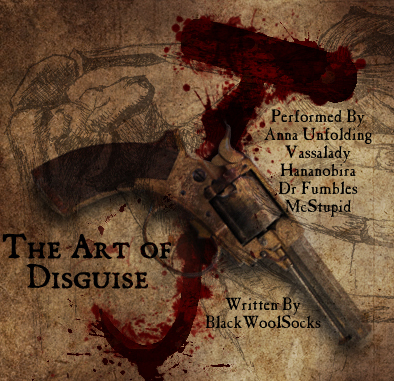 Inspired by The Art of disguise by Blackwoolsocks. This was recorded for Theatripod 2015. Dr-fumbles_mcStupid (me) was the director. I just cant exclaim enough about how great my cast was, we practiced this for 2 months and my cast was just unbelievable and their final performance was stunning. I really hope you enjoy, I certainly enjoyed directing it.